Have your own truck or trailer? 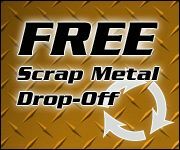 You can bring and dispose of your materials at our Fleetwood, PA trash transfer and recycling facility, which is conveniently located just off Route 73, only minutes from Reading. welcome to Berky’s Transfer and Site Container Service. we provide roll-off dumpster and container rental to the contractors of Berks County and the surrounding Eastern Pennsylvania region. Our roll-off dumpsters are available in a variety of sizes, from 10 to 40 yards, delivered to your job site at low, low prices with no hidden fees, taxes or charges. Ordering is easy, simply give us a call and we’ll be happy to take your order and answer any questions you may have. Roll-off containers are perfect for construction waste, home-clean-outs, metals, wood, brush & stumps, concrete, brick, block and other trash. Your Debris is our Specialty!